This book explores the artist?s experience of landscape, relationship with place, and search for visual equivalents in paint. It focuses on three landscape painters who work in front of the motif. Ivon Hitchens painted the Firwood Ride series near his West Sussex home, John Walker, best known for large abstracts, painted the small scale Seal Point series on Maine?s coast, and Michael Williams based his series, The Marble Cliffs, on the Greek island of Paros. The theories of psychoanalyst Donald Winnicott are adopted as a lens through which to examine these artists and their work. His thinking sheds light on the realm of creativity, underlining the centrality of paradox and duality. Winnicott?s rich notion that paintings and places are experienced as transitional objects in the artist?s potential space, where external and psychic realities co-exist, is investigated in the context of the three artists. 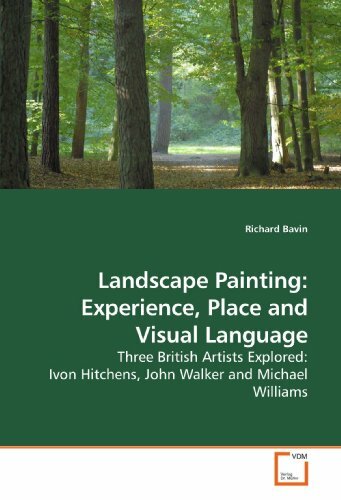 This book is for everyone who has a passion for landscape painting and wants to explore more deeply what is happening between artist, place and paint. It provides a succinct text for students and others involved in the fine art field. If you have any questions about this product by VDM Verlag, contact us by completing and submitting the form below. If you are looking for a specif part number, please include it with your message.